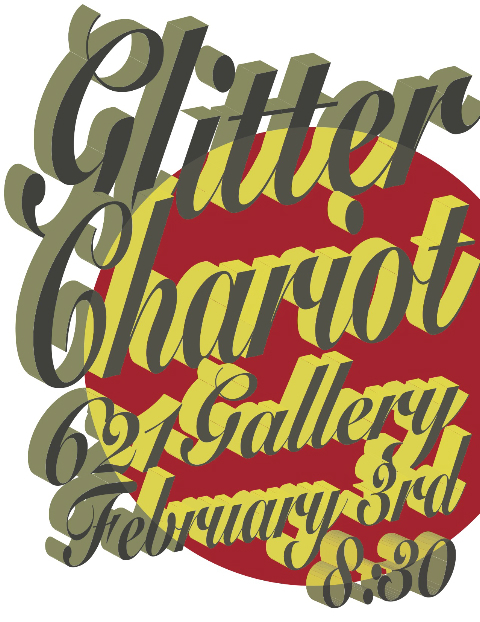 After 2 successful shows at the Florida State Museum of Art and Bird’s Aphrodisiac Shack, Glitter Chariot returns to the Tallahassee area for 1st Friday at Railroad Square in the 621 Gallery. The group will be back together for a week of workshopping songs for an upcoming record and performances in New Orleans, Los Angeles and New York and will be highlighting some of the songs in a new sculpture/performance during 1st Friday. Entitled Magnificent Obsession: Scene One, Glitter Chariot promises a night of deep and touching songs about love and the loss often associated with it. The songs are inspired by the continued exploration into melodramas of the 1950s and in particular those of the master Douglas Sirk, from which the title is derived.